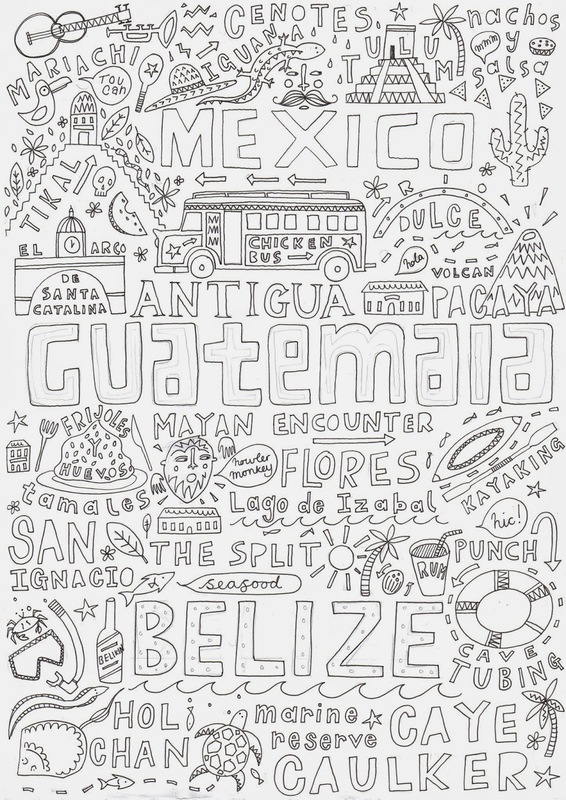 I've just finished working on a print in response to my recent trip to Central America. 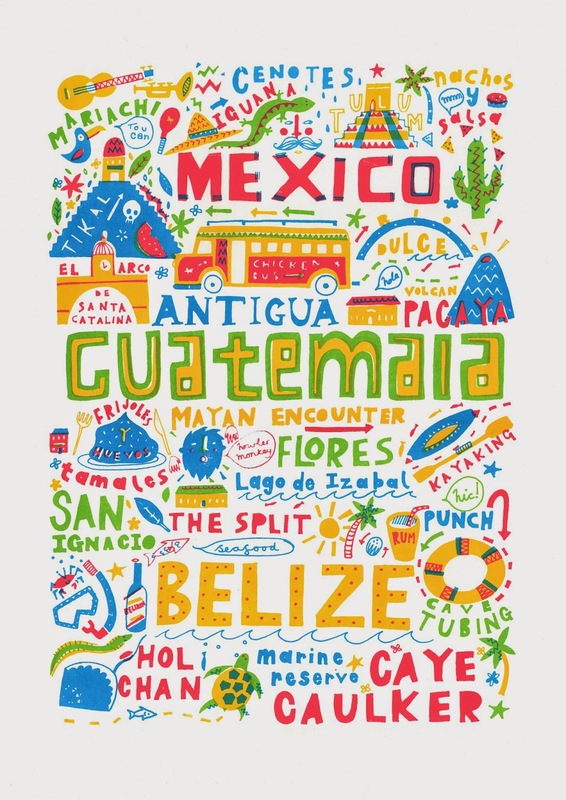 It's 4 colours and predominately typography based, featuring places visited and activities undertaken. It was great fun to create- especially as each place explored fed a stream of little stories in my head. I'm also really pleased with the colour scheme on this one- they compliment each other well.